Chinese scientists are designing key parts to be used in the nation's most powerful carrier rocket, which is expected to make its first flight around 2030, a senior researcher said. 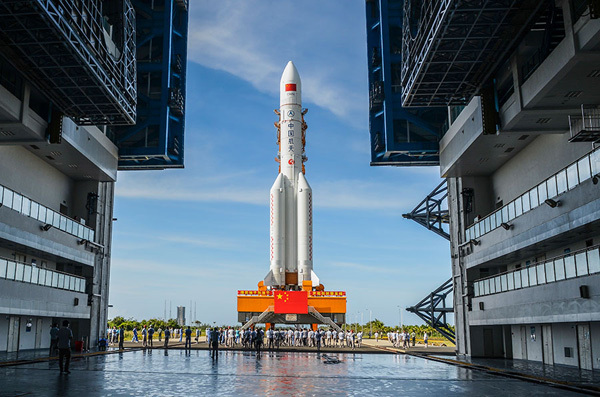 Li Hong, president of the China Academy of Launch Vehicle Technology, said scientists are designing two heavy-lift engines combining liquid oxygen with other fuels - kerosene in one and liquid hydrogen in the other - along with a large-diameter fuel tank. "Research and development will be finished within two to three years, and they will be used on our new heavy-duty rocket," Li said on Friday. The academy, a division of China Aerospace Science and Technology Corp, is the largest developer of carrier rockets in China. Li is a member of the 13th National Committee of the Chinese People's Political Consultative Conference, which opens its annual session on Saturday in Beijing. According to Li, the new-generation rocket will have a diameter of about 10 meters, a length of nearly 100 m, and a carrying capacity as much as five times that of the current Long March 5. The 57-meter Long March 5, the mightiest and tallest in China's carrier rocket family so far, has a liftoff weight of 869 metric tons and a maximum carrying capacity to a low-Earth orbit of 25 tons. The new rocket, which has yet to be named but is popularly known as Long March 9, will be capable of sending payloads of at least 125 tons into orbit. By comparison, the United States' Saturn V, the most powerful rocket ever built and the one that helped the US place astronauts on the moon, can carry 140 metric tons into orbit. If the country's research and development proceed well, the Long March 9 will enable China to land astronauts on the moon and send and retrieve Mars probes, Li said. Li Jinghong, deputy chief designer of the Long March 3A rocket at the academy, said four launches of the Long March 5 would be required to fulfill a manned mission to the moon, while the Long March 9 would need only one. 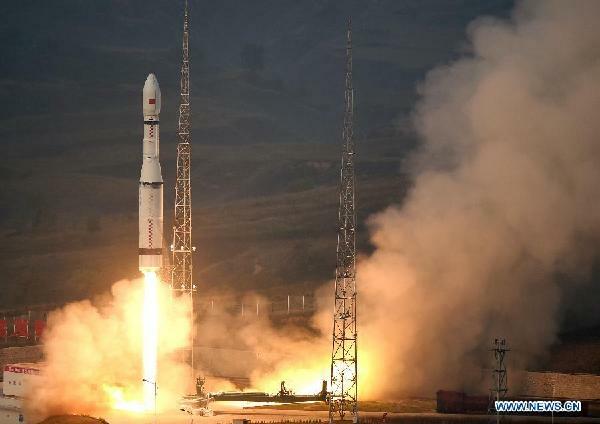 Li Hong said the academy is also developing a medium-lift carrier rocket to meet demand for commercial launch services. Designers have begun work on a prototype for the Long March 8 and plan for it to fly around 2020, he said, adding that the rocket will have a modular design and will use technologies that have been incorporated in the Long March 5 and Long March 7 series. The rocket aims mainly to satisfy commercial needs in the domestic and international markets, he said. In China, an increasing number of private companies have begun making satellites, which fuels demand for commercial launch services.